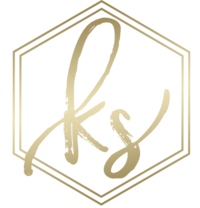 Today on the blog, I’ve invited Kazia from Rural 27 to talk all about their business and how they can help you on your wedding day. I have worked with Kazia at a recent wedding and everything she and Andy provided and took care of was perfect. When I asked that bride about her experience with Rural 27, she said, “I can definitely say she is the reason my wedding was perfect. She made everything so easy and seamless. She was fantastic.” Kazia provided several items for Katie and Alex’s wedding, including signs, a bird cage for cards, the vases for the greenery centerpieces and also set everything up for her. After planning our own outdoor wedding in 2013, I soon began to see all the time and effort going into this event as well as the numerous amount of small details to make everything be what Andy & I had envisioned. Being able to have all the people we love and adore in one space for one night was an amazing feeling that will always be in our hearts. Looking back – we wouldn’t of changed any of the hard work, but there were still times where it felt a little overwhelming. After returning from our honeymoon and seeing all the decor we had made, created, and used — it made me start thinking – what am I going to do with this? – Wouldn’t someone else benefit from these items for an event they have planned? Soon – Rural 27 – Decor Event Rentals was born. We love working on our family farm, being outside and thoroughly enjoy meeting new people. We have an extensive rental inventory of rustic, woodsy, shabby-chic, and vintage items to assist with your engagement party, bridal or baby shower, rehearsal dinner, wedding, birthday, anniversary, or any other amazing social event you have planned. Need assistance on the day of your event? Rural 27 – Décor Event Rentals is here to handle the set up and take down logistics of your celebration to make sure everything you have spent months planning looks exactly how you envisioned. We hope whatever you have planned for the future we can assist to make your ideas be exactly how you envisioned when your event is here. Look forward to hearing from you! You can find Rural 27 at their website and on Facebook.